Paper flowers send us giddy with excitement. 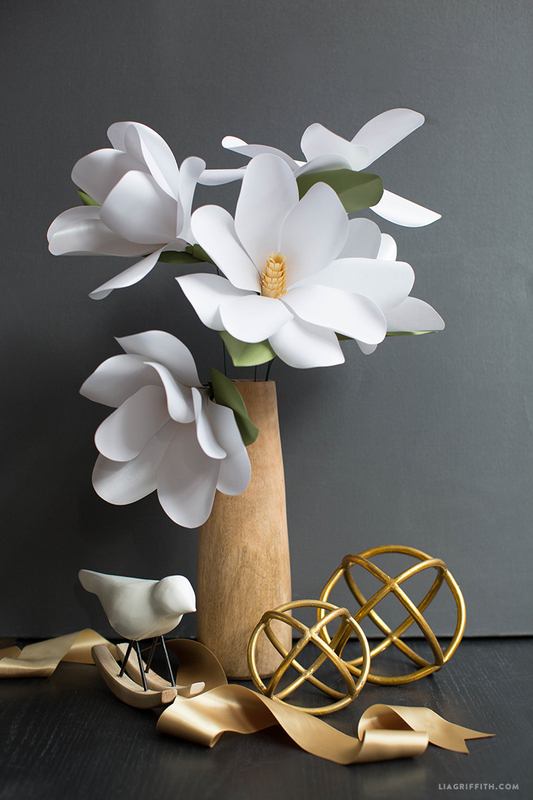 We get a kick every time we come up with a new design and todays paper magnolia flower is no exception. 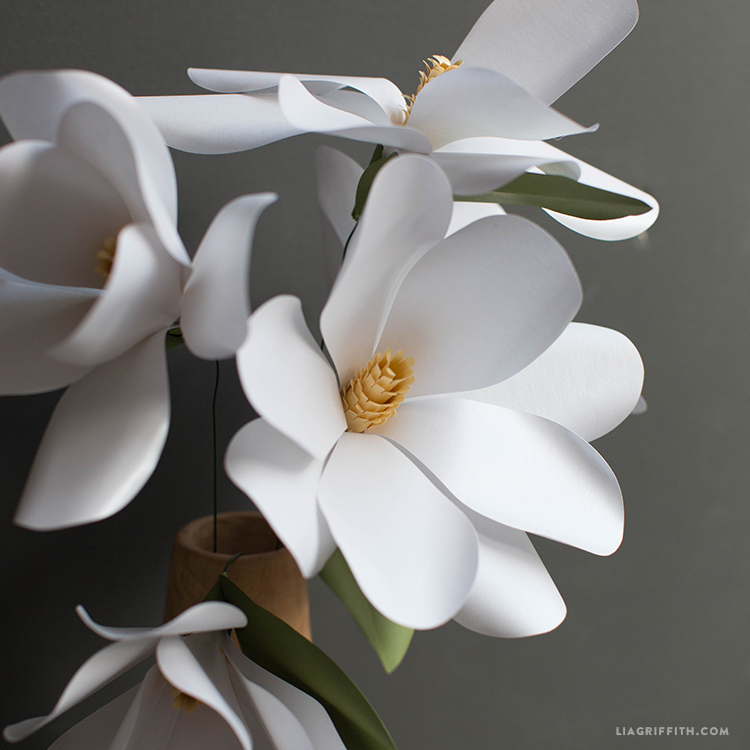 Magnolia flowers are large yet elegant blooms and as such, are fun to make in paper. 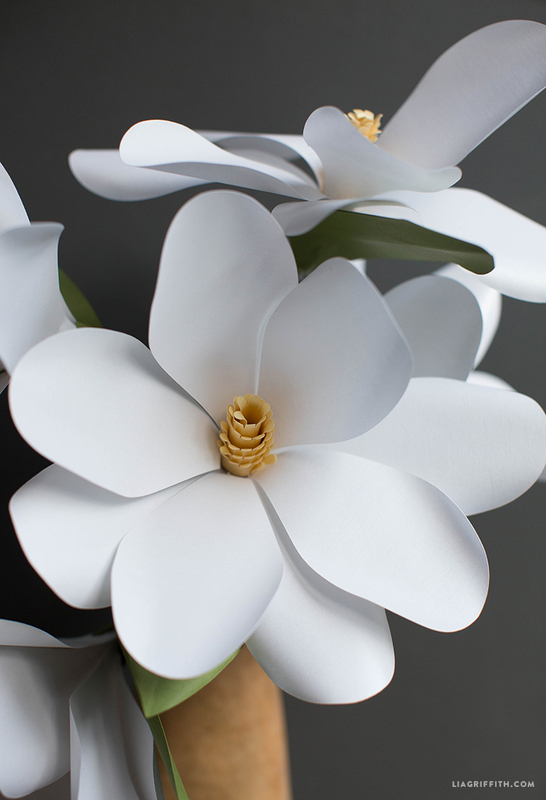 Each color has a different meaning – our white magnolia symbolizes purity and perfection, like snow on a winters day! To make this pretty paper flower you will need text weight papers in white, gold and green, floral stem wire, and our downloadable pattern below. 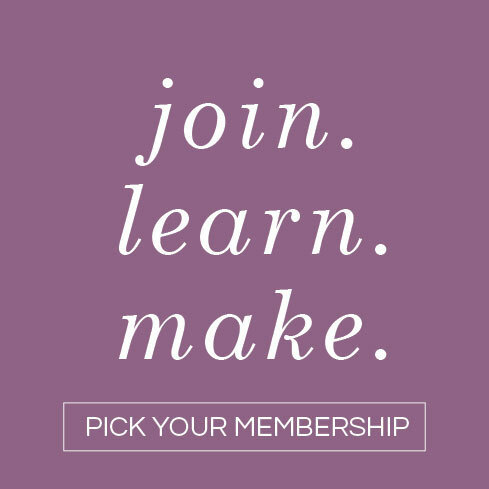 You can use the SVG file to cut this pattern if you have a cutting machine, or you can download the PDF template if you will be cutting the pattern by hand. Once all the pieces of the pattern are cut, you can follow our step-by-step tutorial below to make your paper flowers. My top tip for making really beautiful paper flowers, as always, is to gently curl the petals before you assemble the bloom. You can use your scissors or a wooden dowel to do this and if you’d like to see the technique in action, you can watch my video tutorial for my paper rose. Hi! No, it just depends on the flower and what material I’m using. I prefer thicker wire with heavy crepe flowers, while thin wire works great with extra fine. I used plain printing paper and they turned out nice. 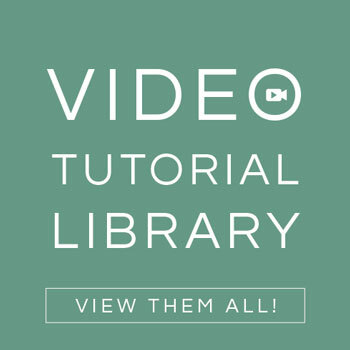 I just got the circuit explore air, how do I use the SVG file? OMG Lia–this is the flower that I am the most excited about. We have a beautiful Magnolia tree in,our front yard that my hubby bought for his mother when he was in high school. They lived here until they both passed away. So I really love the flowers on the tree. It’s like Mikey”s mom is sending them to us. Can’t wait to make it! Hopefully this weekend. I’ve been so busy making cards but I can’t wait to get back to my flowers. Do you have any suggestions for paper stores in the Portland area? I’m in Salem and our selection is limited. Thanks! 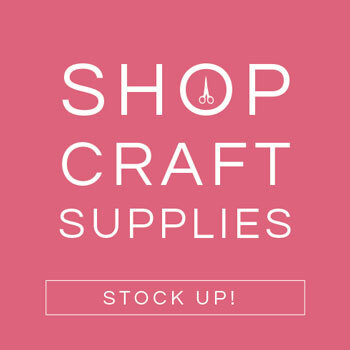 I would say Michaels or Joanns are good options, but if you are in Portland I would also recommend Paper Source and Collage! They always have so many fun crafting goodies 🙂 I also love buying metallic paper from Paper-Papers brand, which is only online. Good luck! They are so easy to make, yet so beautiful. It’s like a dream. Thank you so much, this is so sweet! Do you use card stock paper when it’s not a crepe paper flower? If not what type of paper do you use?